Improving cardiac arrest resuscitative care constitutes one of the two major pillars of the Jacques de Champlain Foundation’s mission. In its first years, the Foundation actively participated in the implementation of systems which were geared towards improving long emergency response times in rural areas. Ever since 2015, the Foundation has channeled most of its energy towards the development of the AED Project, an initiative that aims to increase AED (automatic external defibrillator) usage by the general public. To achieve this goal, the Foundation has created a provincial registry of public AED’s that is integrated with a mobile application: AED-Québec. The Foundation also works in collaboration with prehospital emergency services as well as their respective health communication centers so that a 911 operator would be able to direct a bystander to the nearest AED in the case of a cardiac arrest. But why is the Foundation’s team working so hard? Are cardiac arrests really that common? Why not just wait for the ambulance to arrive? Isn’t using an AED complicated? Don’t I need some kind of training? Answers to all of these questions can be found in the following text! In Canada, about 45,000 people suffer from a cardiac arrest (CA) every single year, that’s about one CA every 12 minutes!. 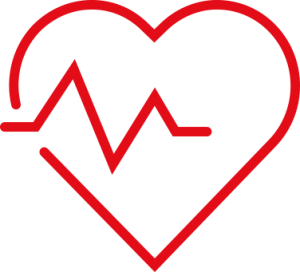 A cardiac arrest, often confused with the term “heart attack,” involves the sudden stop (arrest) of the heart, an organ that is essential for providing blood supply and oxygen to the brain and other vital organs. A CA is often associated with a “heart attack” (myocardial infarction), but that is not always the case. A CA can often be caused by an electrical problem of the heart (arrhythmia), a respiratory arrest (while drowning for instance), a congenital malformation, or even electrocution, just to name a few. You can now understand that a CA can occur at any age! On the other hand, a heart attack occurs when there is a problem with the circulation, or the “plumbing,” of the heart. In this case, one of the arteries supplying the heart’s blood supply is blocked and oxygen can no longer reach the cardiac muscle (myocardium), which quickly begins to die (a process known as necrosis). This change in the cardiac muscle can cause dysfunction in the electrical system of the heart, quickly followed by dangerous arrhythmias, and eventually resulting in a cardiac arrest and sudden death. Ventricular fibrillation is the rhythm most frequently associated with adult cardiac arrest. Within only a few seconds, the victim will suddenly lose consciousness, the heart will stop beating, and there will be a loss of pulse. 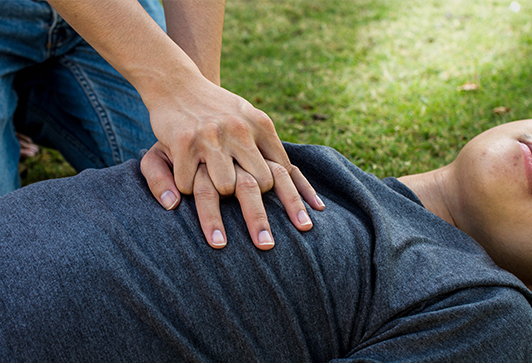 This does not necessarily suggest that the victim will die, especially if the cardiac arrest is witnessed by someone who can carry out some simple techniques that can save the victim’s life. The only way to avoid death by cardiac arrest is to immediately take charge of the situation with cardiopulmonary resuscitation (CPR) and external defibrillation. 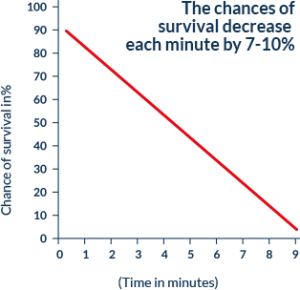 After sudden death, every minute without the proper treatment reduces the chances of survival by 7-10% and an emergency treatment needs to be carried out quickly for the victim (see figure to the left). Source: Guidelines 2000 for Cardiopulmonary Ressuscitation and Emergency Cardiovascular Care. Circulation Aug. 22, 2000. The treatment of ventricular fibrillation involves the use of a device known as a cardiac defibrillator. Many different types of defibrillators exist but the one that is accessible to the general public (and the one you see at many airports) is known as an automatic external defibrillator (AED) (see photo below). An AED is a portable device, which works on a battery, and whose job is to analyze the heart activity of a person in cardiac arrest. This analysis is completely automatic, and therefore doesn’t involve the decision making of the operator. The device administers only external shocks; this signifies that the electrodes are placed on the skin of the patient. If the device detects a shockable rhythm, like ventricular fibrillation, it will deliver an electric shock, also known as a defibrillation. For many years now, AED’s have been easily accessible in many public locations and can be used by any citizen, even without formal training. The use of a defibrillator along with CPR doubles the victim’s chances of survival during a cardiac arrest! Once turned on, visual and vocal instructions help you go through the easy steps. Even a child can use an AED by following the simple instructions. Unfortunately, however, an AED is used before emergency services arrive in only 8% of cardiac arrests in Canada. After 12 minutes without the use of a defibrillator, the chances of survival decrease to less than 5%. In Canada, 85% of cardiac arrests happen outside healthcare centers, occurring mostly at home or in public places. It is for this reason that as a citizen, you can really make a big difference between life and death. Often times, you may even know the victim. Over the last few years, the steps of resuscitation have been greatly simplified for the general public. These simple gestures do not even require a particular training. However, a basic training would increase your comfort and confidence levels to react appropriately in such situations. Surprisingly, only about 10% of the Quebec population has received appropriate CPR training. This is a very small percentage compared to the rest of the world, especially compared to countries where CPR training is taught at schools and during the obtainment of the driver’s license. These countries have the highest rates of survival during CPR. Moreover, the simple act of doing CPR triples chances of survival. 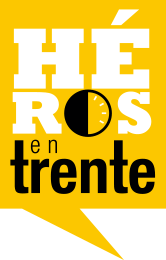 Nowadays, you can even take a CPR course in 30 minutes with the Heart & Stroke Foundation’s Hero in 30 program. Even without having done a training course, there is no reason not to intervene by doing CPR maneuvers. It has never been this easy to do CPR because the “mouth-to-mouth” ventilation that was once done is no longer even necessary. Scientific studies have concluded that compression-only CPR is just as effective as “mouth-to-mouth” CPR . It is also important to act fast! In fact, irreversible brain damage begins just 5 minutes after a cardiac arrest. In most cases, the delay before the arrival of first-aid or an ambulance is longer than that. In many regions in Quebec, this delay can even surpass 20 minutes, which is far too long. If CPR is begun and a defibrillator is used in less than 5 minutes following a cardiac arrest, the chances of survival increase to 75%. This step is the priority and you may even ask someone to call for you before passing on to the next step. Begin CPR immediately with fast and strong compressions to the middle of the chest, the rhythm should be at least 100 per minute. These instructions can be given by the emergency medical responder (EMR) at the 9-1-1 center. You can even think of the classic Bee Gees’ song Stayin’ Alive to get the necessary rhythm of 100 compressions per minute. In the adult, the depth of compressions should be 5cm (2 inches). 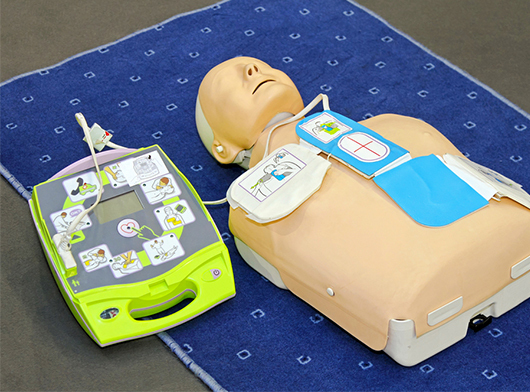 You can check out the CPR and AED training capsules in the section titled “Useful links”. This should be done as fast as possible, ideally in less than 5 minutes after the cardiac arrest. You can check out the CPR and AED training capsules in the section titled “Useful links”. This will be provided by healthcare professionals either at the prehospital emergency level by paramedics or by the nurses and doctors when the victim arrives to the hospital center.